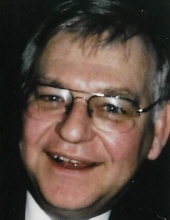 Roger “Doc” L. Weis, 74, of Burlington, passed away Tuesday, January 29, 2019 at his home. Born in Burlington, Wisconsin on February 7, 1944, he was the son of Francis and Lunetta (nee Daniels) Weis. He was a life-long resident of Burlington, graduating from Burlington High School Class of 1963. On February 8, 1969, he was united in marriage to Hilda “Kay” Mangold. Roger was the owner and operator of Peck & Weis Heating and Cooling in Lake Geneva. He was a member of St. Mary Catholic Church, St. Mary Athletic Board, Knights of Columbus and the Lions Club. He enjoyed hunting, fishing, all-terrain vehicle riding, stock car racing and riding his motorcycle. He also loved joining in with his Coffee Klatch at several local establishments. He loved spending time with his family and especially enjoyed supporting his grandsons at their many sporting events. He served in the United States Army from 1966 to 1968. Roger is survived by his wife, Kay; children, Doug (Shannon) Weis and Kim (Erich) Kurth; grandchildren, Drew Weis, Brady Weis, Wyatt Kurth, Ian Kurth and Carson Kurth; siblings, Daniel (Judy) Weis, Russell (Deb) Weis, Luann Warren and Margaret “Peg” (Paul) Daniels; an aunt, uncles, many nieces and nephews, and other relatives and friends. Roger was preceded in death by his parents; brothers, Jerome and Clayton; daughter, Nancy Jane Weis and brother-in-law Joseph Warren. In lieu of flowers, the family suggest memorials be made to the Burlington American Legion or Love, Inc.
A Mass of Christian burial for Roger will be held Monday, February 4, 2019 at 10:00 AM at St. Mary Catholic Church. Burial will immediately follow the service at St. Charles Catholic Cemetery. Relatives and friends may visit with the family on Sunday, February 3, 2019 from 3:00 PM to 6:00 PM at Schuette-Daniels Funeral Home. To send flowers or a remembrance gift to the family of Roger "Doc" Weis, please visit our Tribute Store. "Email Address" would like to share the life celebration of Roger "Doc" Weis. Click on the "link" to go to share a favorite memory or leave a condolence message for the family.